​This versitle piece can be worn in many different ways. Great knit up with fiber that has some elasticity. Pictured is a minimally textured bulky handspun Baby Doll. Would be beautiful in Romney or Merino! 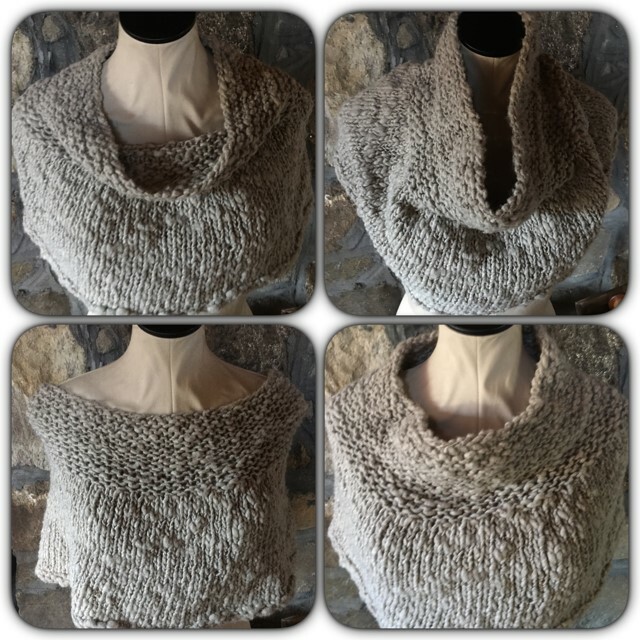 ​This pattern is NOT included in our 'Ideas for Naturally Textured Yarns' collection.